Notice 2015-17 clarifies previous guidance and provides transition relief to certain small employers from ACA penalties. Key aspects of the new guidance are noted below. Increased Employee Wages. 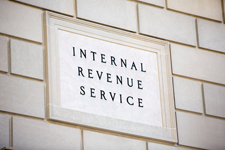 The IRS confirmed that an employer’s practice of increasing employee wages, as long as such increase is not conditional on the purchase of health coverage, does not create a group health plan subject to the ACA market reforms. The IRS further noted that simply sharing information with employees about the health exchange marketplace is not an endorsement of a particular policy, form, or issuer of insurance. Treatment of Employer Plan as Taxable Compensation. The IRS explained that “after tax” premium reimbursement arrangements tied directly to the purchase of individual health insurance policies are to be treated as group health plans (subject to ACA penalties). It does not matter whether the employer treats the reimbursement or payment as pre-tax or post-tax to the employee. While the IRS acknowledged that previous guidance excluded premium payment reimbursements for non-employer provided medical coverage from an employee’s gross income, it explained in the new guidance that the ACA has changed the law, thus rendering its prior guidance on the issue inapplicable. Integration of Medicare and TRICARE Premium Reimbursement Arrangements. The guidance confirms that arrangements that reimburse two or more employees for Medicare Part B or Part D premiums, or TRICARE premiums, are group health plans subject to ACA market reforms as well. However, the guidance creates a safe harbor if certain conditions are met that would allow the employer to avoid penalties. Transition Relief for Small Employers and S Corps. The new guidance addresses concerns as to how small employers – who have already reimbursed individual health premiums in violation of the ACA – will be treated. Relief is granted, but not blanket relief. The guidance provides that the “SHOP Marketplace addresses many of the concerns of small employers.” But, because the SHOP Marketplace has not been fully implemented, a small employer (with less than 50 employees) who offered a problematic reimbursement arrangement for 2014, or for the first half of 2015, will not be penalized. In addition, relief is also available through 2015 for S corporations with premium reimbursement arrangements benefiting 2 percent shareholders. In general, reimbursements paid to 2 percent shareholders must be included in income, but the underlying premiums are deductible by the 2 percent shareholder. Our health care and benefits attorneys understand that businesses of all sizes face challenges in light of the rapidly changing health care delivery and reimbursement model in our country. To receive clarification or more in-depth information about the implications of the Affordable Care Act, or any other regulatory developments that may impact the way you conduct business, please contact Mindi M. Johnson at 616.726.2252.